Dr Nick Morgan, Diageo’s Head of Whisky Outreach fortæller om her om planerne: "This is a truly exceptional moment in Scotch whisky. Port Ellen and Brora are names which have a uniquely powerful resonance with whisky-lovers around the world and the opportunity to bring these lost distilleries back to life is as rare and special as the spirit for which the distilleries are famous. Only a very few people will ever be able to try the original Port Ellen and Brora single malts as they become increasingly rare, so we are thrilled that we will now be able to produce new expressions of these whiskies for new generations of people to enjoy." David Cutter, Diageo President of Global Supply & Procurement siger: "This is no ordinary Scotch whisky distillery investment. This is a once in a lifetime opportunity to bring these iconic distilleries back to life. We will take great care to be true to the spirit of the original distilleries in everything we do and to operate them with all the knowledge, skill, craft and love of Scotch that our people and our company has gathered through centuries of whisky-making." Cristina Diezhandino, Diageo’s global Scotch Category Director siger: "Brora and Port Ellen are rightly revered around the world for their rarity and exceptional quality. Everything we do with these distilleries and brands will remain true to these values. 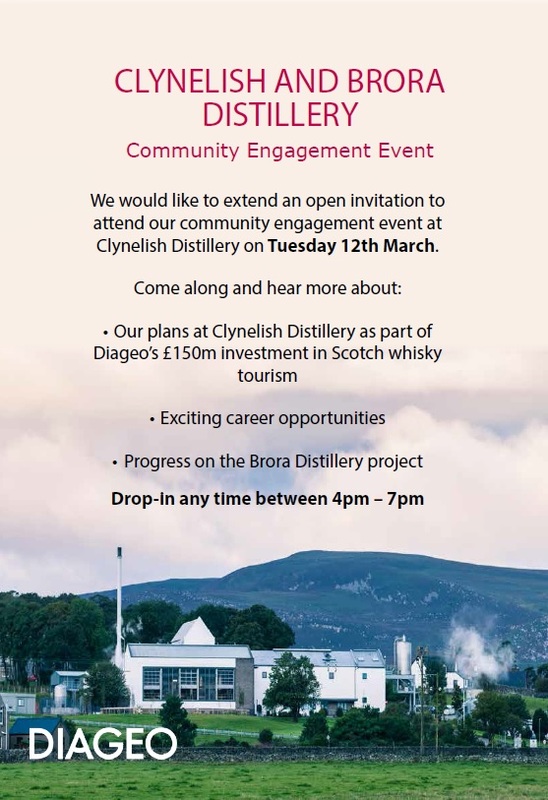 It is thrilling that, as the spirit from the original distilleries becomes vanishingly rare, our distillers at Brora and Port Ellen will be carefully crafting new whiskies to delight and inspire new generations of Scotch lovers around the world."